Dining with the Masters: American Dreams is SOLD OUT. Thank you to our underwriters, table sponsors, and gala chairs and committee! 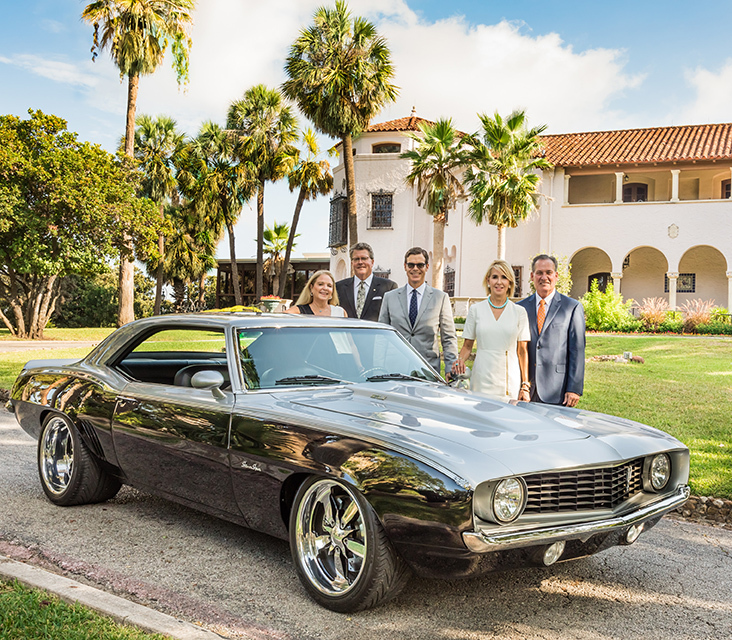 Join Gala Co-Chairs Lou Celia and Don Frost and Suzanne and Rick Cavender for an exclusive preview of the exhibition American Dreams: Classic Cars and Postwar Paintings, which will explore the ingenuity and innovation of postwar America. Dining with the Masters: American Dreams will be a fabulous evening of cocktails, dinner, and the sensational Nate Evans' The Temptations Revue to close out the evening! Tables range from $5,000 - $10,000. For more information, please call 210.805.1761. $10,000 Tucker Table SOLD OUT Premier seating for eight in the American Dreams: Classic Cars and Postwar Paintings exhibition (SOLD OUT) OR adjacent Sculpture Gallery overlooking the Sculpture Garden + Recognition in all gala materials. Of this gift, $9,200 is tax deductible. $7,500 Corvette Table SOLD OUT Seating for eight in the Lang Galleries, which house works by artists including Claude Monet, Pablo Picasso, Georgia O’Keeffe, among many others + Recognition in all gala materials. Of this gift, $6,700 is tax deductible. SOLD OUT - Seating for eight in the Ewing Halsell Foundation Reception Hall/AT&T Lobby + Recognition in all gala materials. Of this gift, $4,200 is tax deductible. $1,250 Tucker/Corvette Ticket SOLD OUT One premier seat in the American Dreams: Classic Cars and Postwar Paintings exhibition (SOLD OUT) OR adjacent Sculpture Gallery overlooking the Sculpture Garden OR Lang Gallery (based on availability). Of this gift, $1,150 is tax deductible. $1,000 Camaro Ticket SOLD OUT - Seating for one in the Ewing Halsell Foundation Reception Hall/AT&T Lobby. Of this gift, $900 is tax deductible. F. B. Doane Foundation, Inc.
L.D. Ormsby Charitable Foundation, Inc.